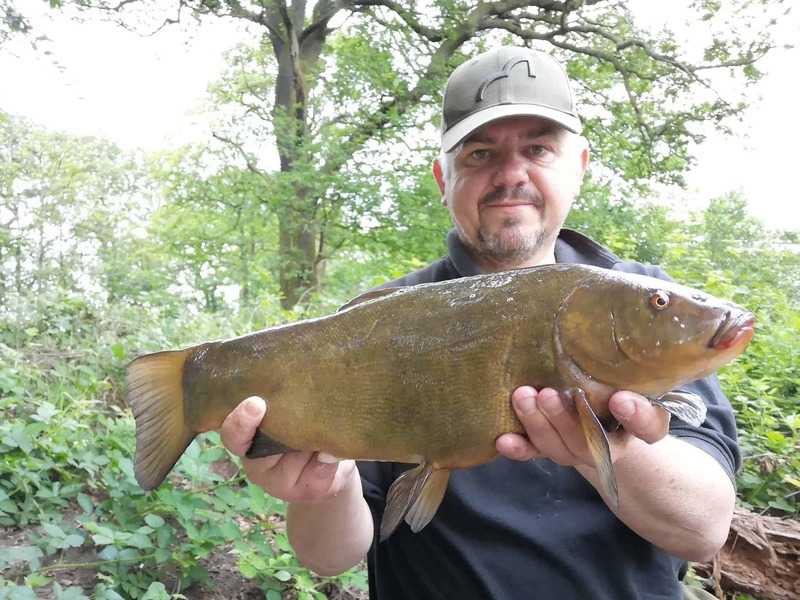 Rode Pool, on the Stoke-on-Trent Angling Society card is a simply gorgeous estate lake, shallow, silty, and with some superb tench to target. I parked up to find that I was the first angler of the day to arrive, and quickly barrowed my kit through the gate, pushed through the undergrowth, and settled down to watch the water for a while. I wasn’t too pleased to find the wind pushing down the lake away from my usual peg as I seem to do better when it pushes into the shallows, but with the whole lake to choose from, it wasn’t going to cause an issue. After thirty minutes, I hadn’t seen much aside from hordes of insects flitting over the rippled surface, but was delighted to watch bats hunting them in the morning gloom as the sky lightened. I walked the banks hoping to spot fish, and finally, just off the peg I like, I saw a dark back roll; it looked like a tench, and was all the encouragement I needed to drop my kit, mix my groundbait, and start to set up. I’ve ‘upscaled' my rods on here this season, moving to the 2.75lb test curve Sonik Vader X just to allow me to cast a little bit further as a lot of fish tend to patrol the far bank reed line, and I’ve been dropping short. The Vader X is still soft enough to enjoy a scrap with feisty tench, and if one of the resident carp interrupts, I’ll have a chance of landing that too. Twinned with the matching Vader X reel, it’s a great set up for general fishing, and won’t break the bank either! 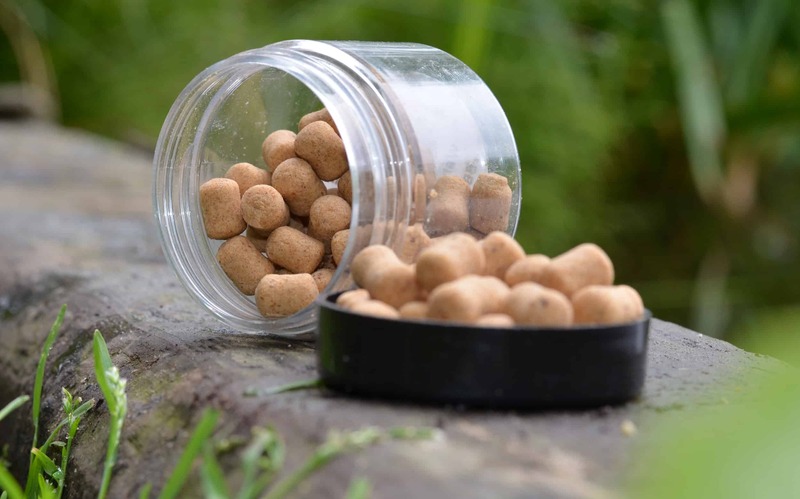 I love to fish The Method here, so a sticky mix of Spotted Fin Betafin pellets and Super Sweet groundbait was wetted with lake water and left to stew. I know it will cling to a method feeder and withstand an 80 yard cast, and it’s always a great attack on what is renowned as a tricky water. On the hook, a Catalyst 8mm dumbbell from the same company was banded on and pushed into the method ball...perfect! Both feeders splashed down about 25 yards apart, a rod length off the inaccessible far bank and I sank both lines before adding a backlead. As I’ve mentioned, it’s a shallow venue, with a lot of backside vegetation, so I didn't want to risk crossing the lines with a fish! Bobbins set, it was time to relax and absorb the English countryside. I’ve enjoyed my time in Australia, but the greenery of England is always missed, and I love to sit beneath the established oaks and sycamore which border the lake. Nestled away from the rest of the lake, my first brew was interrupted by a rattling take which saw the first dark green tench of the day safely netted. At about 4lb, it wasn't the biggest in the lake, but just 5 minutes into my session, it was a good start! Quickly returned, it was followed a few minutes later by another of similar proportions on the other rod as the Catalyst bait lived up to its name and started a feeding spell! 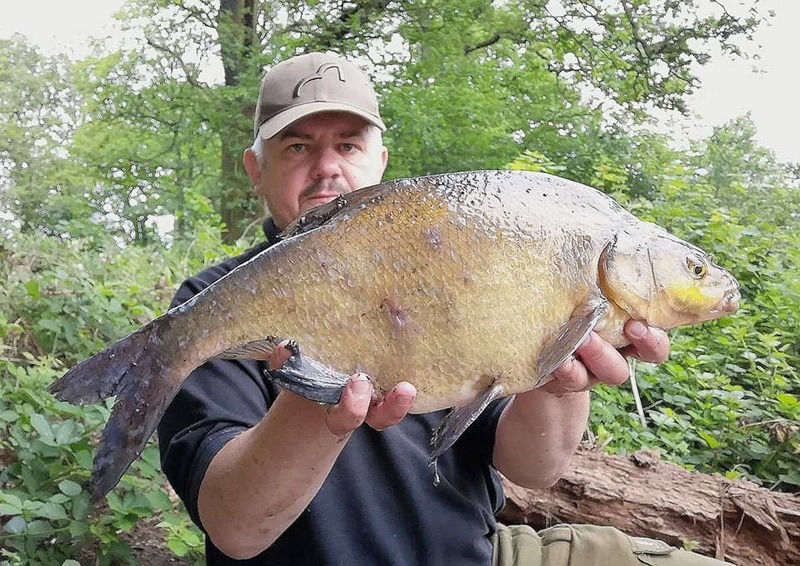 The fifth fish was a slab sided bream, a chunky fish of around 6lb, then more tench, then another bream; by 9am, after fishing for about 3 hours, I’d landed 10 tench, and 4 good bream, all of them tempted by the Spotted Fin baits during a bumper morning session. I do know that things usually slow around 10am, and so prepared a carp rig; I still haven't caught a carp here yet, so one rod has now been swapped to pop up boilies whilst on the other, the method feeder continues to pick off fish with frightening regularity every half an hour! So, this week for a change, I’m writing from the bank, and as I sit and wait for the next fish, I’m already planning to visit a carp water later in the week to try and rack up some images for sponsors and clients as part of my freelance writing employ. Although I’m enjoying myself today, I’m conscious that one of my clients, Carp-talk magazine, have decided to close down after 24 years, of which I’ve been part of the team for the last 9 seasons, leaving me with a gap in my schedule when it ceases the final print run at the end of June. As a result, I’m hoping to pick up another slot somewhere else (get in touch if you need a copywriter!) but if not, then I may just have to do a bit more fishing, and see what turns up... Either way, when I'm lucky enough to be sitting here, shaded by woodland, watching the waterfowl and waiting for the alarm to go again, I can’t really complain can I, even I have just missed another run! Ahhh!